CAUTION: This may be the most boring post I’ve ever written! It is hard to do any creative writing when giving a long, drawn out tutorial so let’s just get to it! 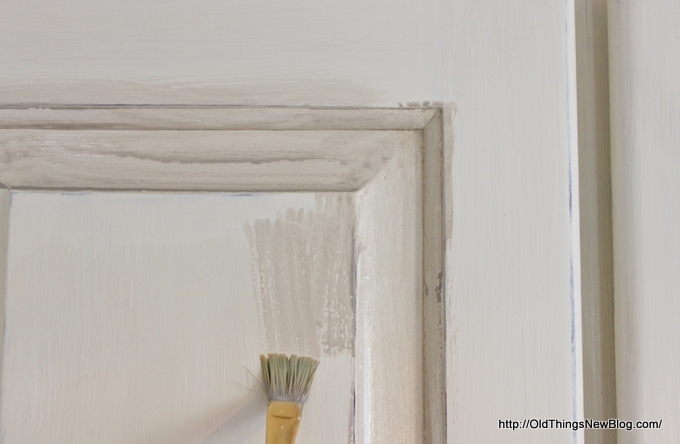 There are so MANY great tutorials for Painting and Waxing Kitchen Cabinets and I’ve benefited greatly from them myself. Today I’ll share my personal cabinet painting experience which may differ just a bit from others you’ve seen or read. After a lot of ups and downs, trials and errors, I’ve settled into a flow when it comes to chalk painting so I’ll attempt to share that with you. I say “attempt” because it is awfully hard to explain in words the very visual process of painting. The painting step is the fun part and I think it’s pretty hard to mess it up, though I know from experience that not everyone can paint (LOL! You know who you are)! So here we go, step-by-step. 1. 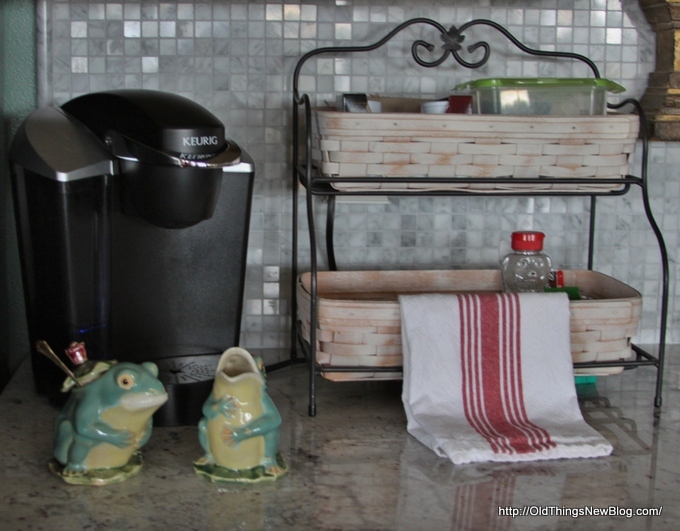 Wipe down cabinets to remove any chunks of dirt or cobwebs. 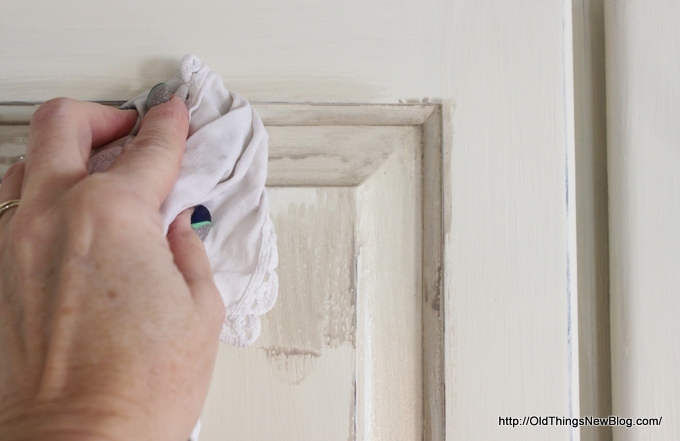 In MOST cases no other prepping, sanding, or de-glossing is needed. Here are the exceptions I’ve found: Cabinets with a red color (like red mahogany) or cabinets with knots (like knotty pine). In these cases I recommend sealing the cabinets (or the knots only in the knotty pine) with a product like Zinsser B-I-N Shellac-Base Primer to prevent bleed-through. 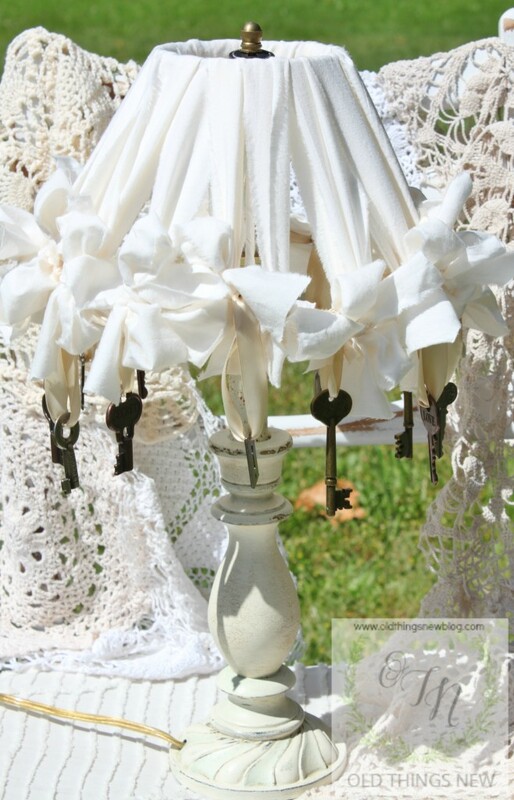 Though some chalk paint retailers say this isn’t necessary I have learned from experience that sometimes there is BLEED THROUGH which can continue to occur even after a couple of years. 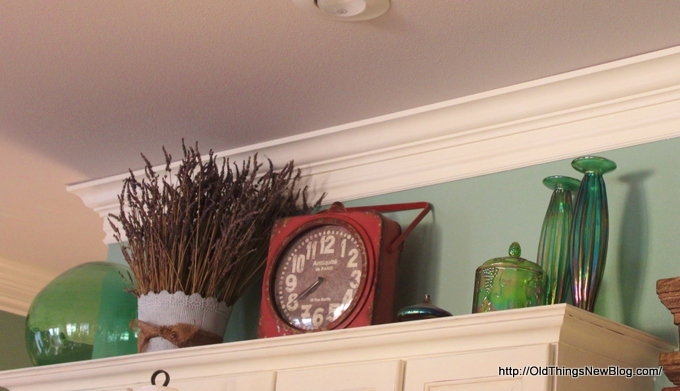 That said, I did NOT prime my red mahogany kitchen cabinets as they had a really good finish over the stain. I was feeling lucky and took the risk and I’ve had no bleed-through. 2. 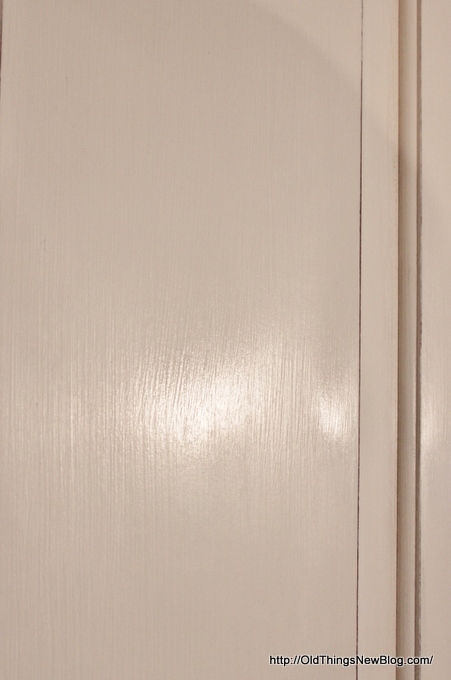 Cabinet doors can be taken off or left on for painting. The benefit of taking them off is that you won’t have to worry about painting so carefully around your hardware. The downside of taking them off is that you will have to rehang them and it can be tricky to get them straight. Not impossible, just tricky. I chose to leave my cabinet doors in place. 3. 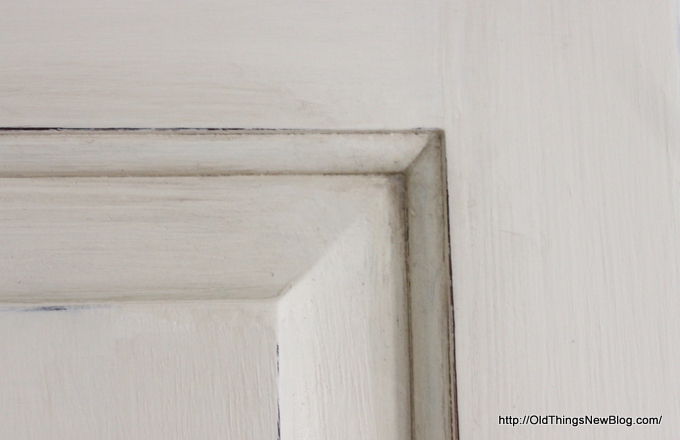 If you are taking down your doors use masking tape to number your doors to correspond to the cabinets they belong to. 4. Place hardware inside the cabinet it corresponds to. 5. Begin brushing on the paint. I’ve never invested in expensive Chalk Paint brushes for painting (waxing is a different story) but use a mid-priced paint brush with acrylic bristles. 6. Paint in long smooth strokes, blending each new stroke into the edges of the last. I wish I had a picture for this but the main idea is to start your new stroke in the still wet paint of the last stroke to keep it looking even. 7. 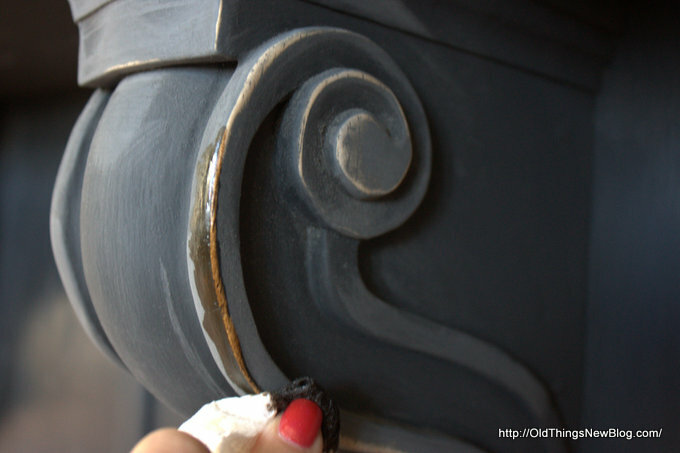 Paint two to three light coats rather than one very thick one. NOTE: If paint is too thick, thin with a little water. 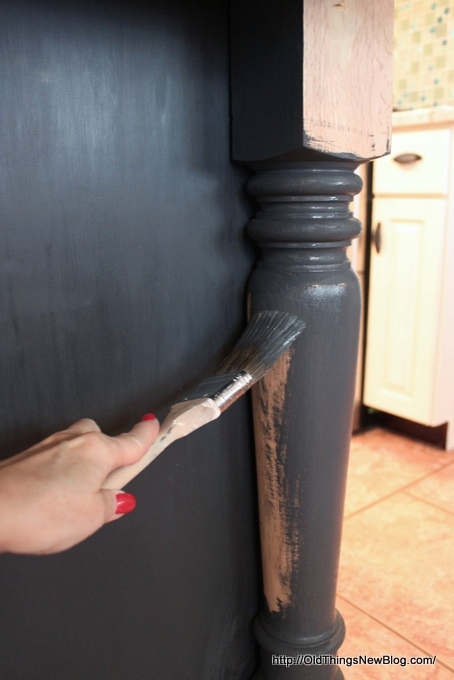 Chalk paint dries very quickly and you can begin subsequent coats within an hour or less, as soon as it is dry to the touch. Don’t worry too much about brush marks. 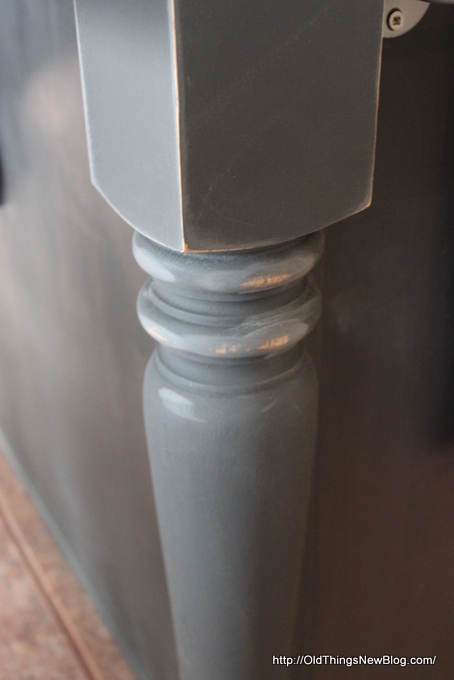 Chalk paint creates a unique type of finish so don’t expect to achieve a “manufactured cabinet” look. If the finish has too many brush marks for your taste you can always lightly sand it back before sealing. The wax used to seal the paint also tends to fill in the brush strokes somewhat. 8. Distress cabinets (if desired) in the places where they would wear naturally over time. Some people prefer to distress after waxing but I prefer to do it before so my sanding block doesn’t get all “gummed” up. Distress as little or as much as you’d like. 9. 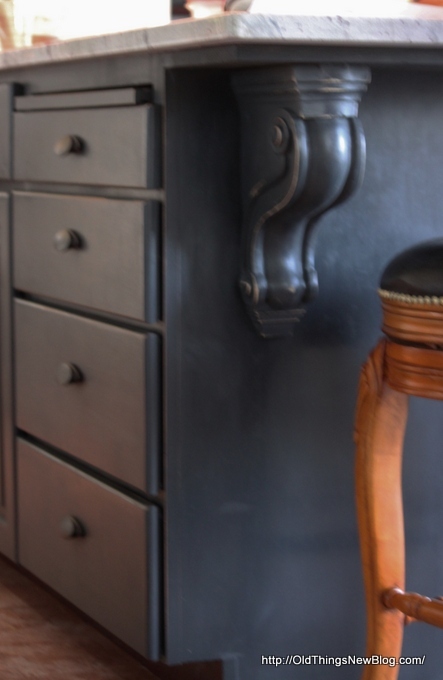 Add a different color to nooks and crevices, if desired, to give your cabinet a bit of an antiqued look. Brush it on and then wipe off the excess. 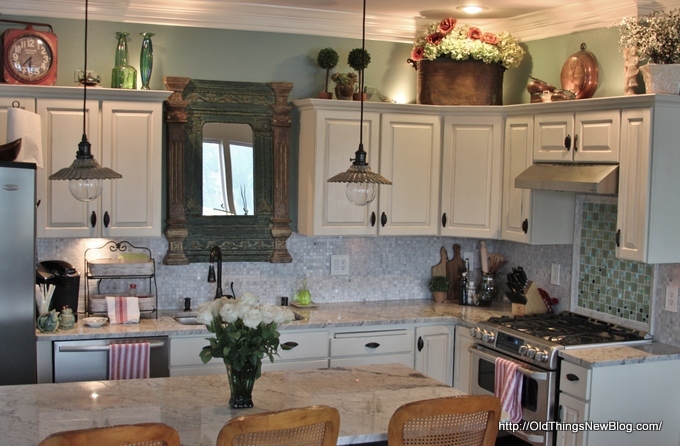 I used Annie Sloan French Linen on my cabinets to match the grayish veins in my granite and marble backsplash. Notice the nice Seahawk nails here . . . along with a few age spots! 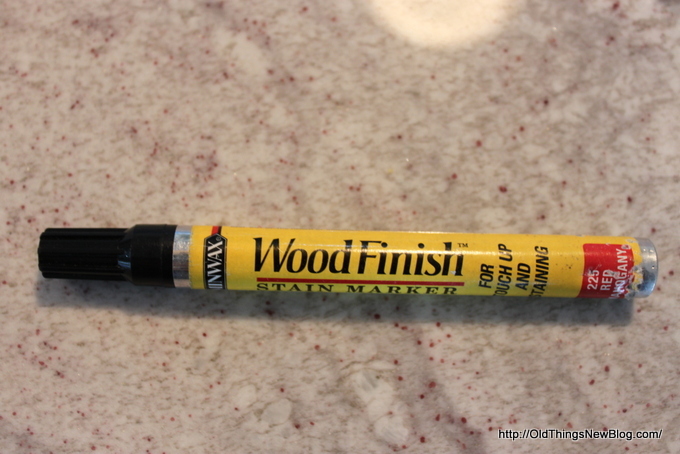 If the raw wood shows through and you don’t like how it looks, you can stain it with a MinWax wood touch up pen. This part is trickier and some prefer to use a different type of protective finish, such as polycrylic. Both have their upsides and downsides. Polycrylic can yellow over time and it tends to leave drip marks if you’re not very careful. Both methods will require multiple coats on cabinets. 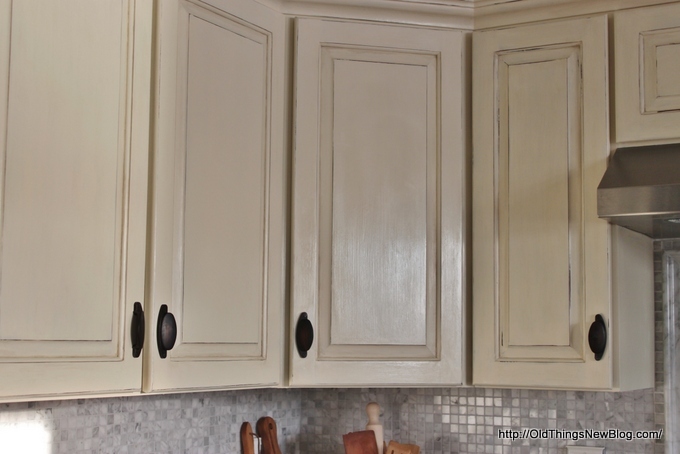 Since my cabinets were painted with Old White I didn’t want to risk yellowing. Practice is the key to learning the technique of waxing. My advice is to try waxing a small piece of furniture or even a single cabinet before tackling your entire kitchen. 1. Vacuum the area you will be waxing in first – This helps to avoid stray pet hairs or other dirt from “floating” into the wax. 2. 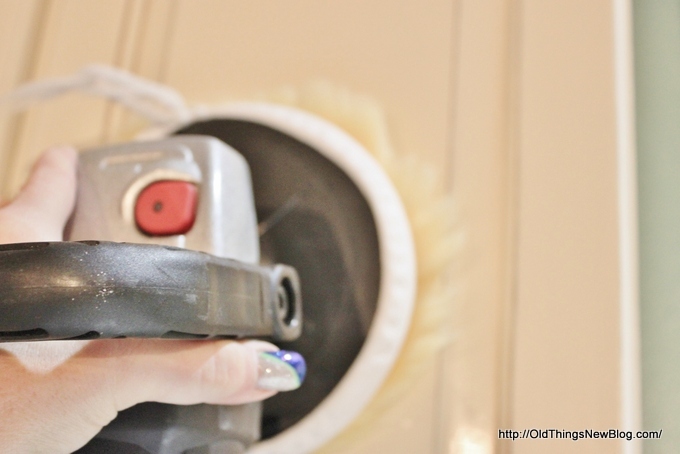 Remove the dust caused by distressing by vacuuming your cabinets or wiping them down with a damp tack rag. 3. 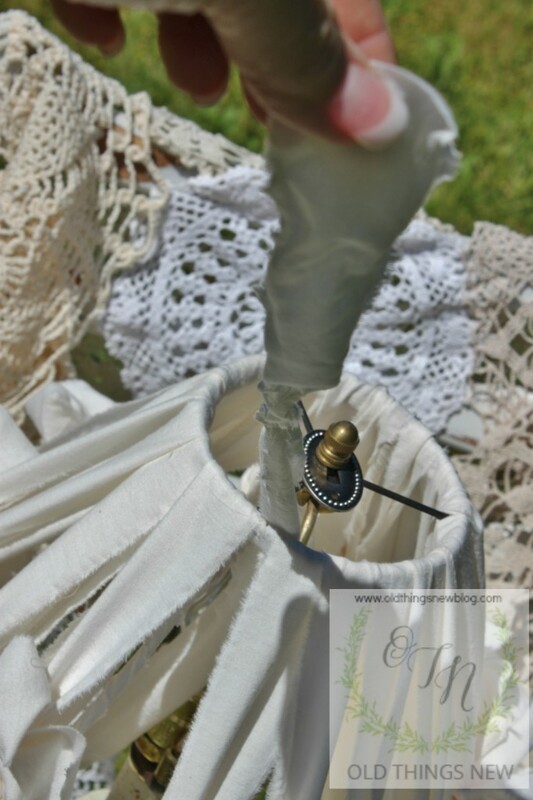 Remove a “dollop” of wax from the can and put it on a paper plate. 4. Gently push your waxing brush into the wax to lightly coat the ends of the bristles. Blot off excess on a clean portion of your paper plate. NOTE: I DO like to spend the extra money for a good waxing brush. I have an Annie Sloan waxing brush and it is great! It conserves on wax used and helps in getting wax into all of the crevices nicely. 5. Wax a small section at a time (I did one cabinet front at a time), rubbing it into the wood in a circular motion. 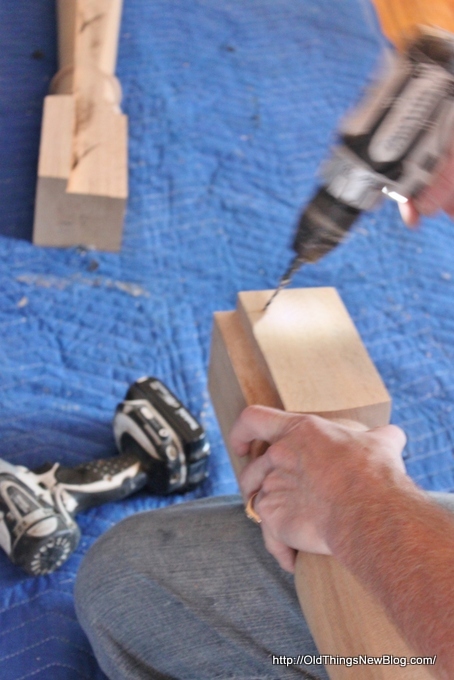 Apply a good amount of pressure to the application, almost like you’re trying to work it into the grain of the wood. NOTE: Do not apply wax too heavily or you’ll be sorry later! Use thin . . . VERY thin coats of wax!!! 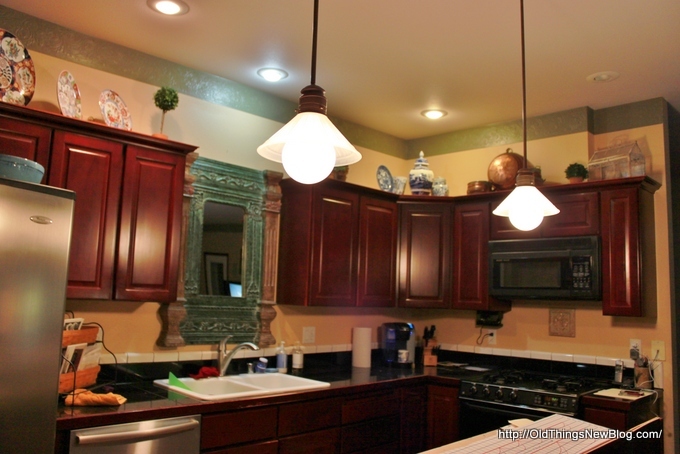 SECOND NOTE: As you add wax you will see the color of your cabinets deepening slightly. This will lighten up again as it dries. 6. After you’ve waxed a small portion of cabinet wipe off the excess wax. I like to use old T-shirts for this step. I used white for my Old White cabinets and a dark T-shirt on the Graphite colored island, just in case any lint from the colored T remained. You can find cheap T’s at the thrift store. I use them up and throw them away! 7. 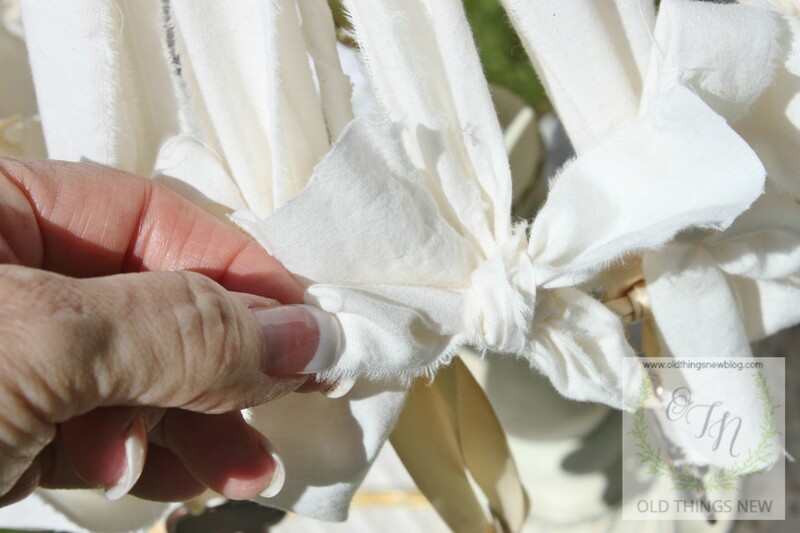 Run your hand over the piece to make sure you’ve wiped enough of the wax away, making sure that no tackiness remains. 8. Let wax dry overnight before buffing. ASCP says 24 hours but it depends on a lot of conditions such as heat and humidity. On a dry summer day I’ve actually buffed within just a few hours. 9. Begin buffing at a slow speed to warm up the wax slightly. My theory is that this actually softens the wax a bit and gives you a better result. For a big job, like cabinets, I highly recommend using an electric buffer. These can be found at auto stores, aren’t too costly, and are SO worth the investment! 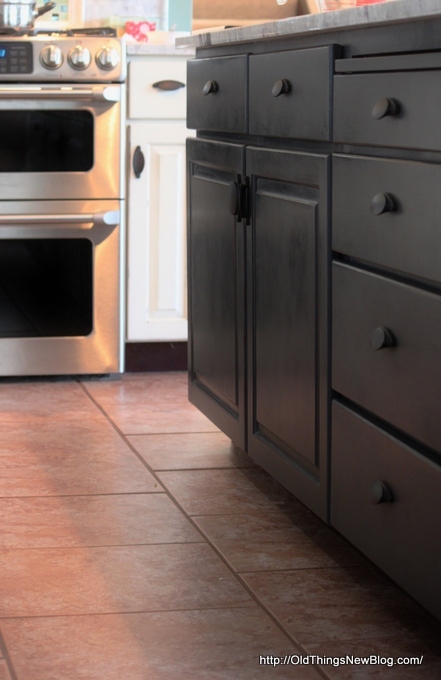 An electric buffer will give quickly give your cabinets a nice sheen that you just can’t get by hand buffing alone. Once you’ve warmed things up increase and keep your buffer at MEDIUM speed (about a 2+ on a scale of 1-5). If you use too high a speed you may find that your buffer spins out of control, leaving funky circular patterns on your cabinets. More personal experience speaking! Repeat waxing, wiping and buffing steps two more times. 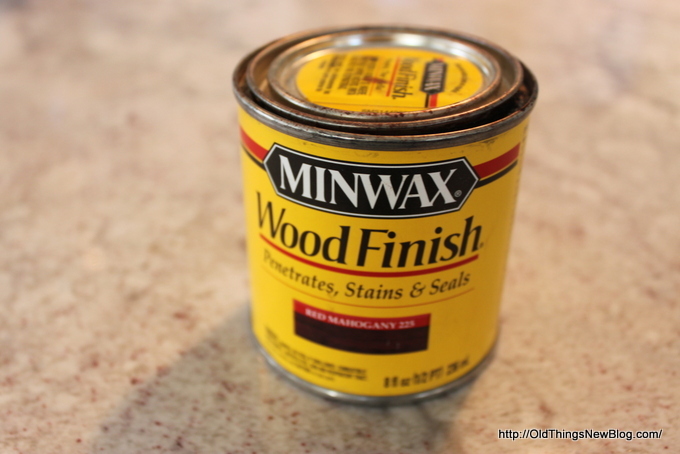 Two to three coats of wax on cabinets is the ideal as they will get more wear than a regular piece of furniture. I did three on those I use the most and two on the cabinets above the refrigerator and other, less used spaces. 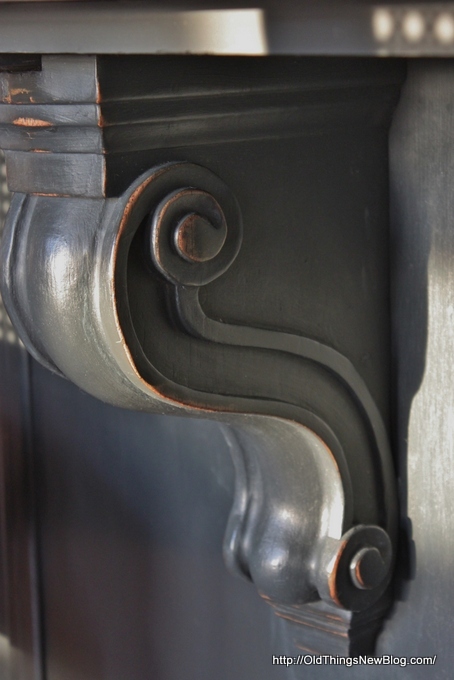 If you desire a deeper color for your cabinets you can use dark wax to achieve this. When I use dark wax I always apply a coat of soft wax first as it is easier to wipe away excess with the soft wax underneath. 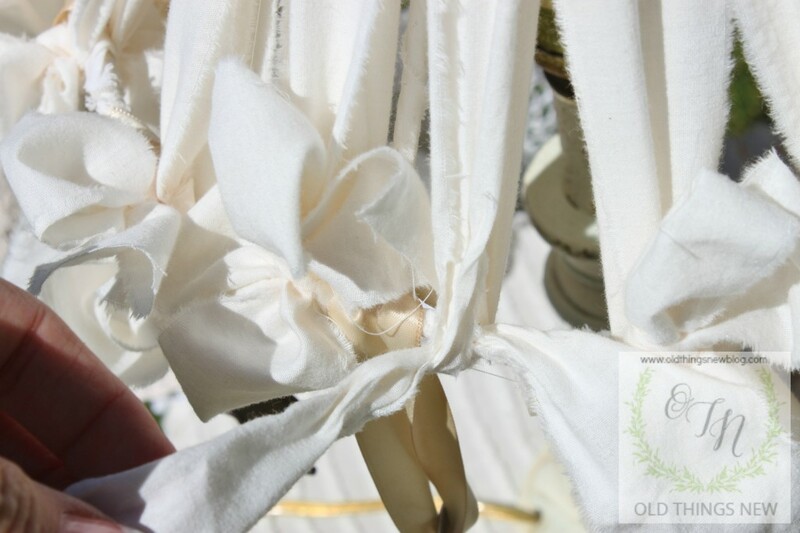 If you find that the dark wax is still too dark you can use more soft wax over it and this will act as an “eraser” to remove as much of the dark wax as you’d like. 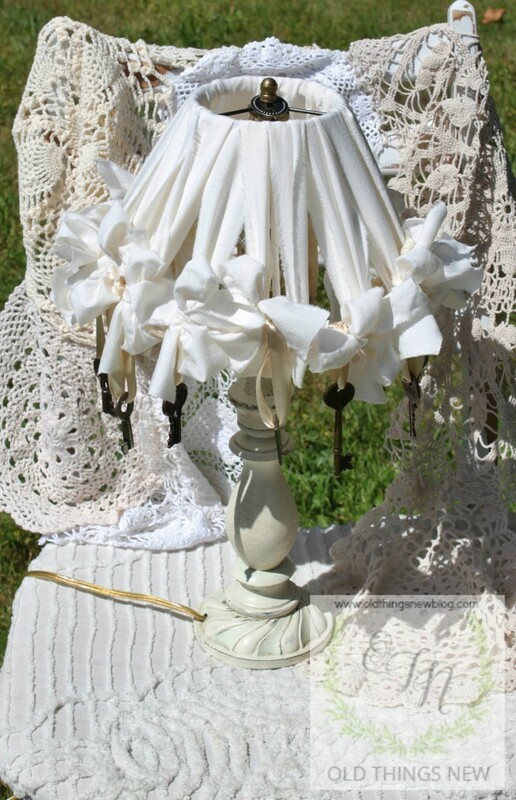 Another way to do this is to mix a little dark wax into the soft wax and apply it that way. *Keep your buffing pad clean and soft by keeping it in a gallon sized Ziplock bag between uses. 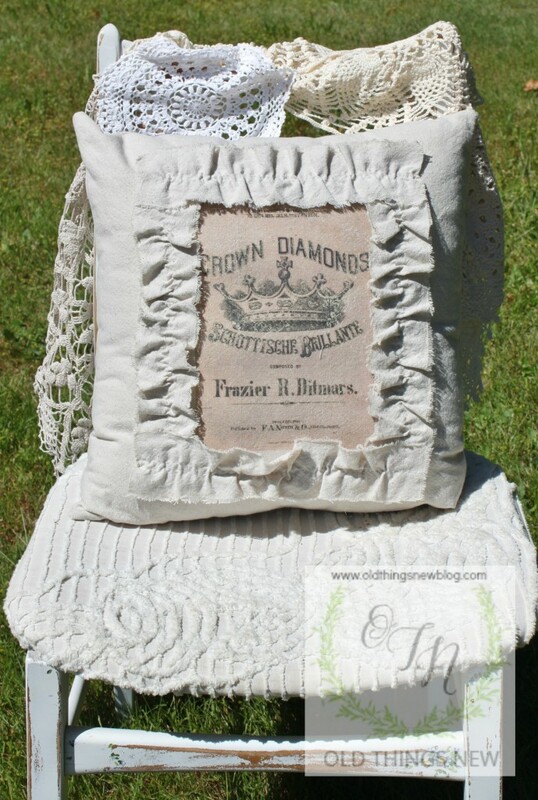 Or, if you are going to take a long break between uses you can hand wash it with soap and water and allow it to air dry. I ended up using two pads for my entire kitchen. *If you notice little “fuzzies” in your wax, gently pull them off. If wax cures with “fuzzies” in the finish they will remain a part of your cabinets forever, a testament to your hairy house! *If you are noticing a lot of fuzz from your buffing pad your wax may be too thick (my experience). 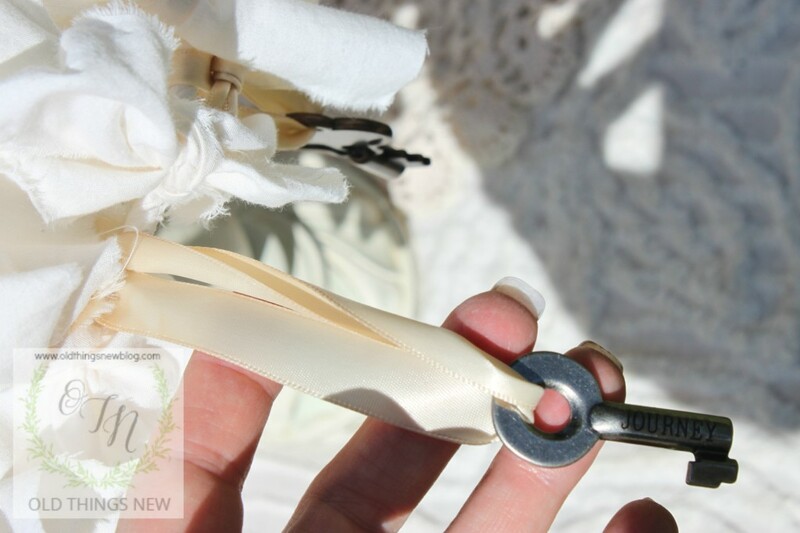 Gently sand off or use little Mineral Spirits on a cloth to wipe off excess wax, then try buffing again. *I found that buffing my lower cabinets first was best so that they were smooth and not as likely to attract the particles that tend to fall when waxing. I’m not sure what these mysterious particles are but they do occur! 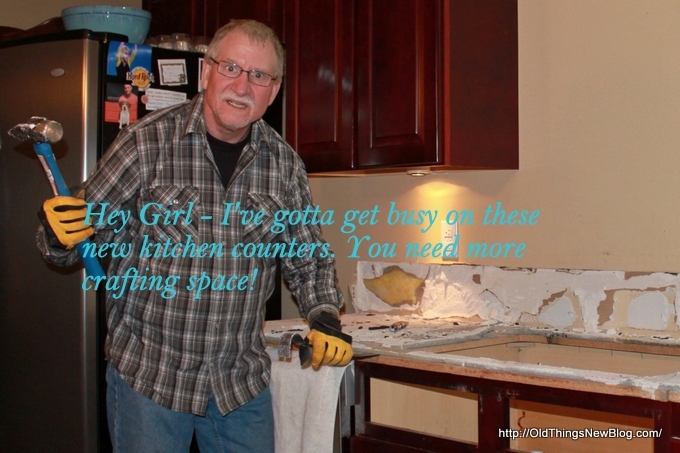 *Buffing inside your cabinets is OPTIONAL! *Soft wax take a few weeks to cure completely but once it has cured it provides a very hard and very durable finish. I also think it creates a more beautiful sheen than the polycrylic finishes. 1. Wax is too thick. It will feel slightly tacky, not smooth. 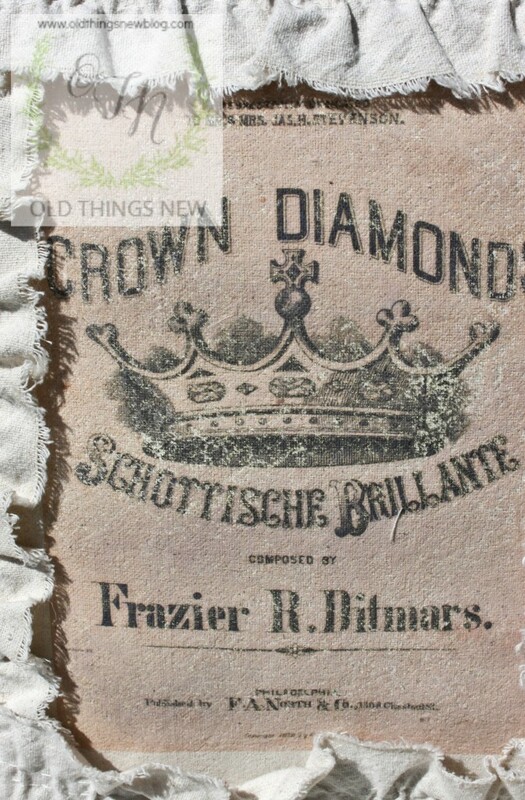 Correction: Use a little mineral spirits to remove the excess, then try buffing the area again. Don’t worry if you accidentally remove too much wax as you can always add a little more back and re-buff. 2. Wax is too thin. 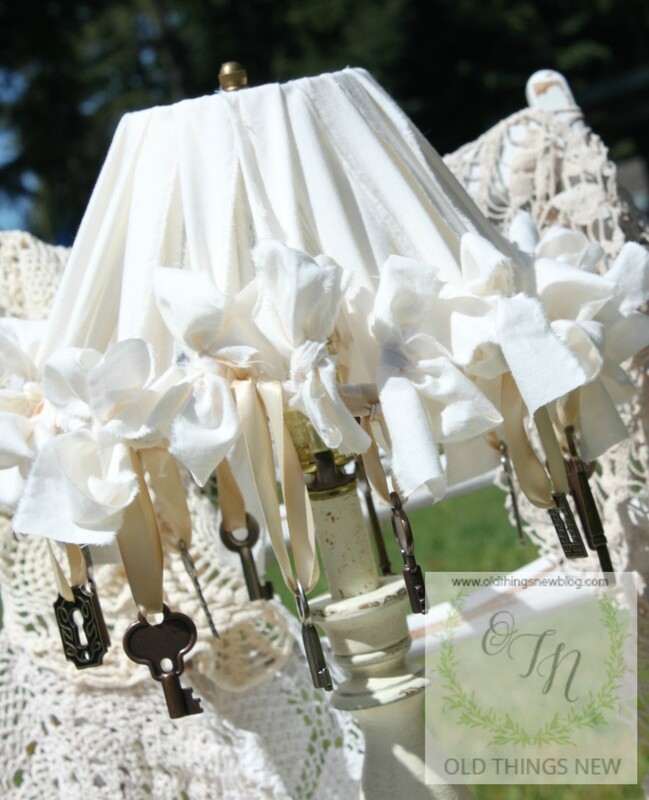 It will feel like unwaxed chalk paint when you rub your hand across it and it will also appear lighter in color than the areas around it. This is likely an area you missed with the wax. Correction: Add wax to the area, wipe off excess, wait 24 hours and buff again. 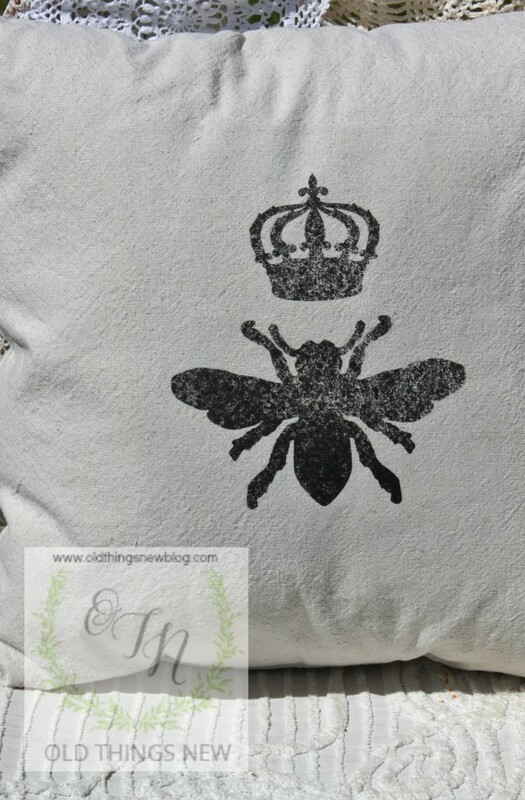 *Wipe down spills and splashes with a damp cloth. *If you happen to get a stain . . . like from blending a smoothie too exuberantly and not wiping off the berries right away . 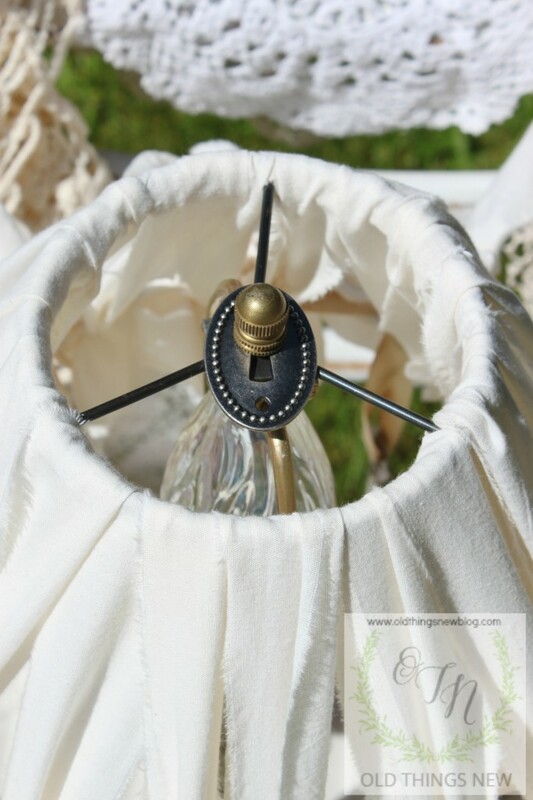 . . you can use a cleaner on the area or even sand the stain off and reapply a little paint and wax to the area. *I like to add additional protective coating every 12-18 months. Rather than doing the whole re-waxing, wiping, buffing process though, I use liquid beeswax (a product I love is Skidmore’s). It is easy to wipe on, let dry and wipe or buff off. 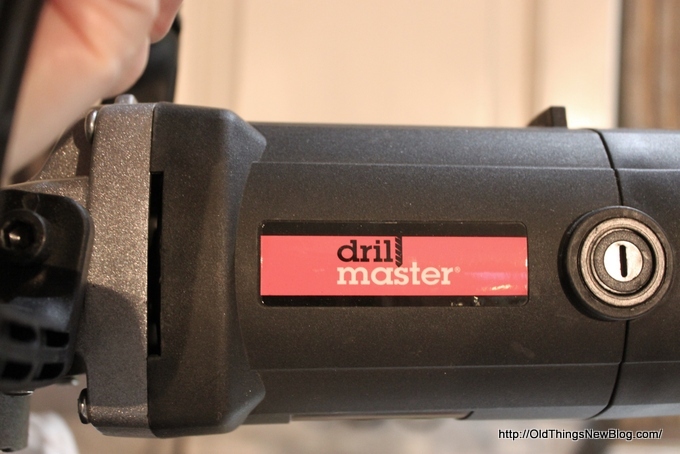 The buffing on this product is easy to do my hand or with a buffer. One last NOTE is about clean up. 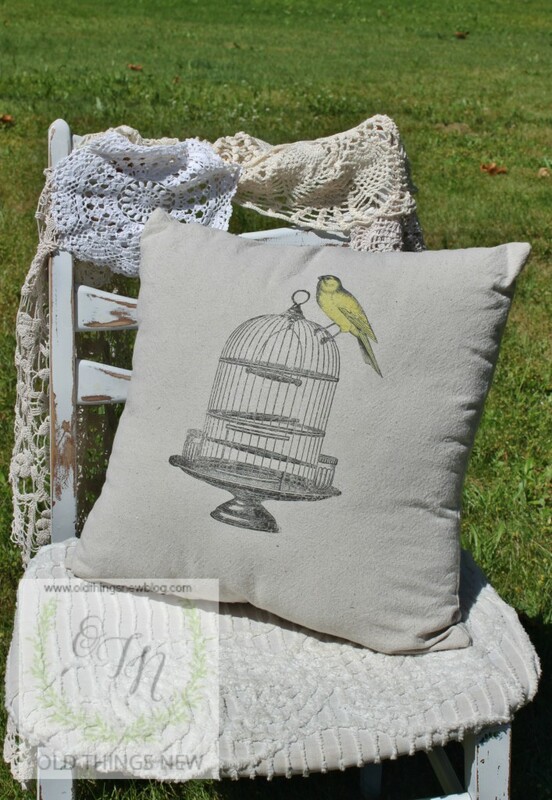 For Chalk Paint, I wash my brushes with dish detergent and water. The wax can be a little harder to clean up so sometimes I’ll soak it in a little olive oil before washing with soap. This has the added benefit of conditioning the bristles. I’ve also heard that Murphy’s Oil Soap is a good product to use and it probably has the same benefit as olive oil and soap. That, my friends, is my painting/waxing experience in a nutshell. If you have any questions about anything or if there is something I haven’t covered please let me know. and PART TWO was Adding Substance to a Boxy Kitchen Island. Please check out those links if you haven’t already. 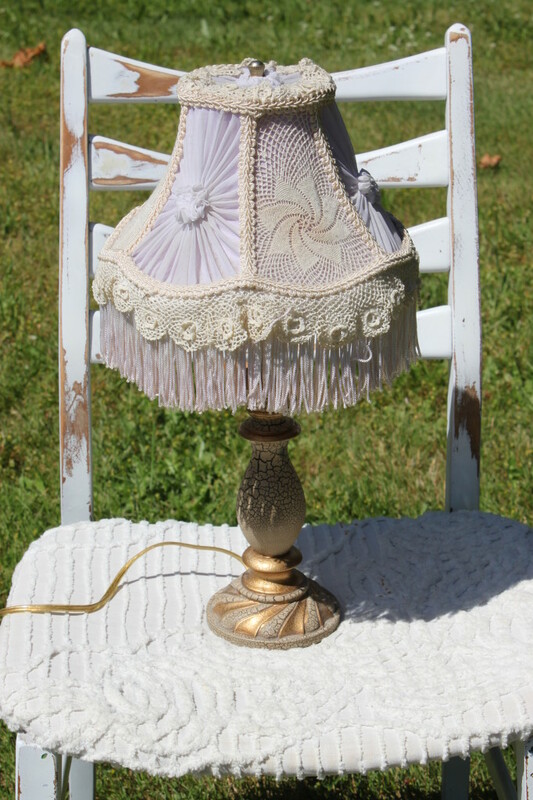 PART FOUR of the series will be shopping for my kitchen makeover, the great deals I found, the colors I used, etc. One last NOTE: Though I wish I were being paid to promote all of the products mentioned in this blog post I’m not! SO . . . free advertising for all! 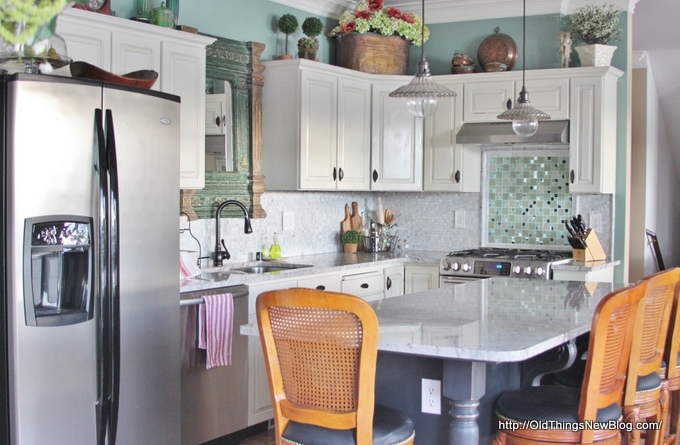 This is the story of a kitchen island that was once a plain old rectangular-shaped box. You know the kind. Functional but boring and in need of a little help. Don’t we all need that at one time or another? Don’t we all need someone to recognize the promise within us and then walk with us through the process of bringing us to our full potential? Well, THAT was my little kitchen island! 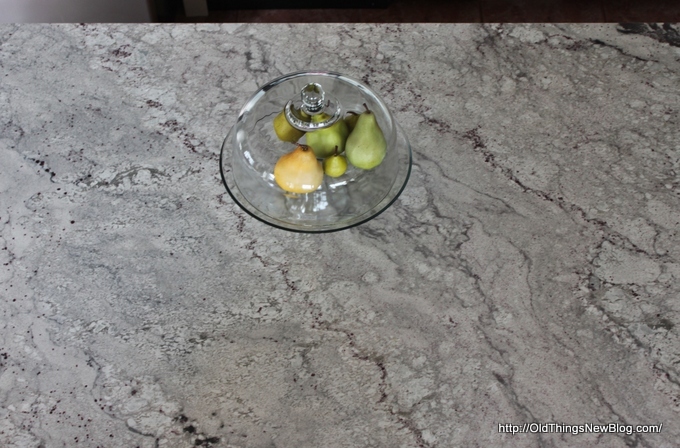 This is a before picture, after we’d removed the old counter and had a new piece of granite installed. With this remodel we added a good amount of additional counter space by adding 12″ of length to one end and taking down the raised bar and making the entire counter 14″ deeper. In this picture the bracing is in the process of being installed by the ever handy Mr. OTN. With purchased legs and corbels we set to work “gussying” her up! Then one day I came across a blog post that had the solution to my problem! Now I can’t remember which lovely blog I first saw this idea on (let me know if it was you and I’ll be happy to link back to you) but this is a “pizza” cut. I’m not sure if this is a real woodworking term but it worked for me. WARNING: Unless you are really good with a saw don’t try this yourself. No, those aren’t my hands, but the hands of a surgeon . . . a wood surgeon that is, whose name was NOT Rick (Haha! Inside joke). 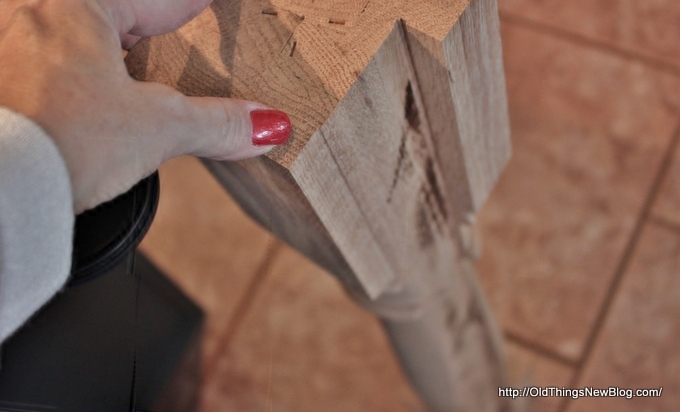 After making these simple cuts he drilled a hole to attach the leg to the island. 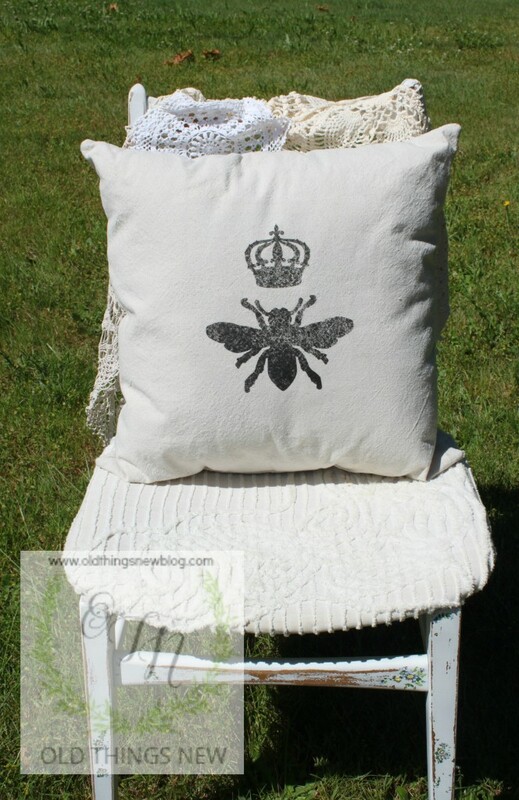 The painting begins with a little Annie Sloan Chalk Paint in the color Graphite. The corbels are attached to hide the metal bracing. Mr. OTN used a router to create a “slot” (another made up woodworking term) so they would sit over the bracing and flush with the cabinet. 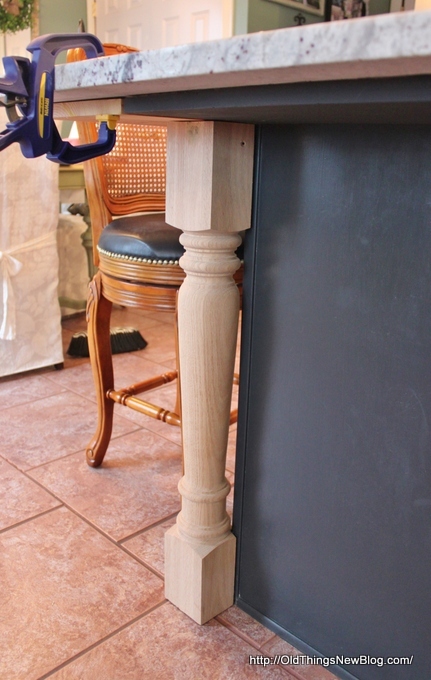 After adding additional support boards inside the kitchen island he pre-drilled holes and attached the corbels with screws. 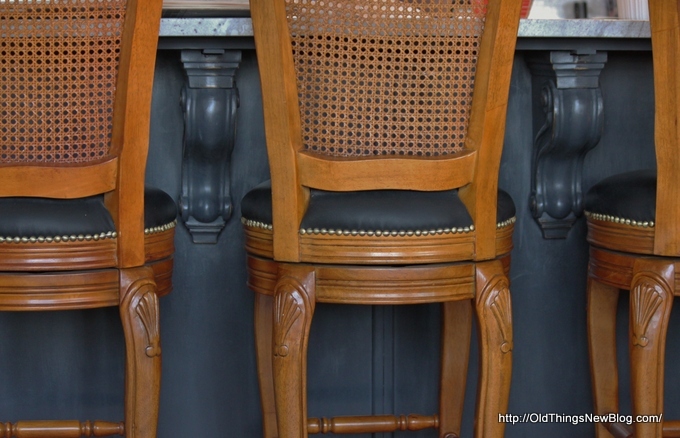 I distressed the legs and corbels in the areas that they would receive the most wear over time. To match the rest of the island, that revealed the underlying red mahogany color when distressed, I rubbed on a little Minwax wood finish (oh, how I wish they were paying me to mention their name). 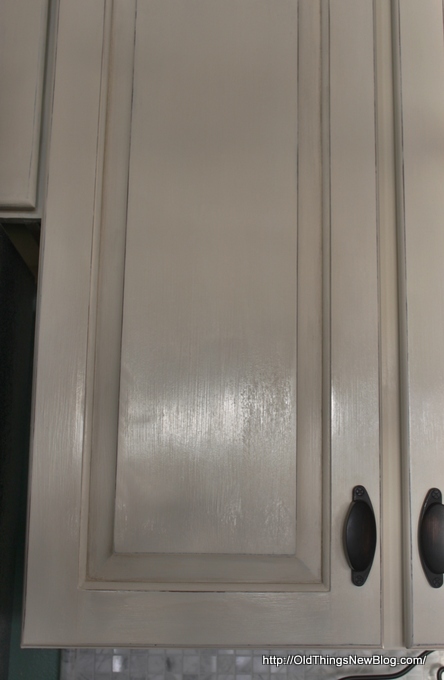 I had both of these on hand for touching up my cabinets when they used to be this color, before painting over them with chalk paint. Looks like one of the dogs enjoyed a little nibble on this one! Voila! Here she is. 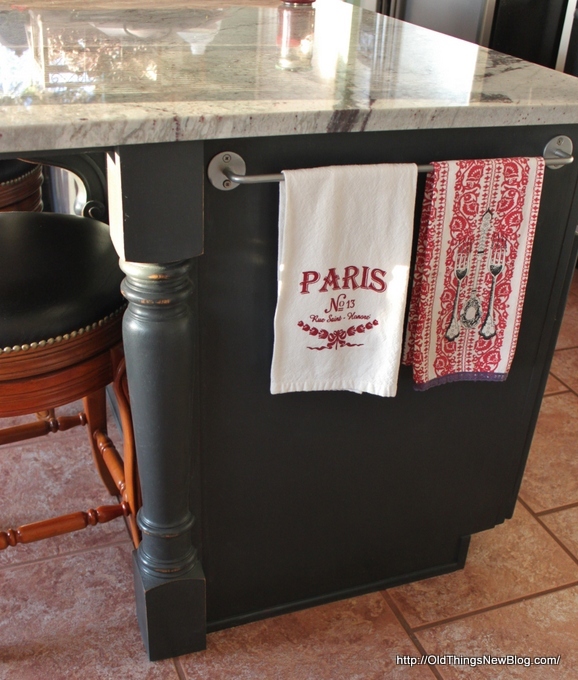 This formerly boxy kitchen island all grown up . . .
. . . and even a tad bit elegant! 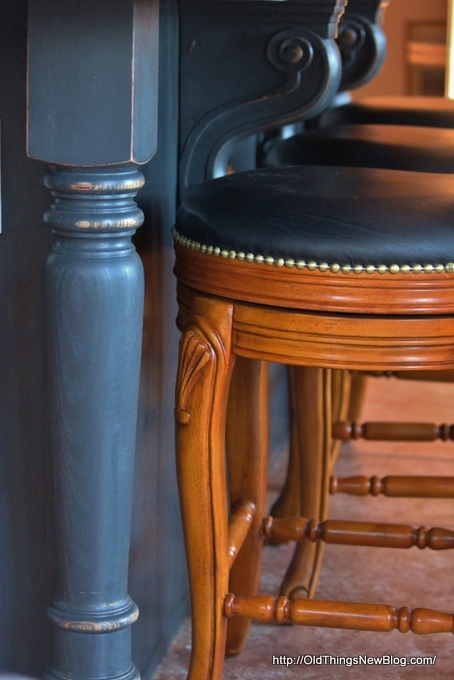 You can find wooden island legs and corbels in many places, including local hardware stores. I chose to search online for the best selection and ended up choosing Osborne Wood out of Toccoa, Georgia. Not only do they have a huge selection of wood products but I liked the STORY behind the company. For anyone who knows me you know that I love a good “overcoming adversity” story! By the way, I’m not being paid to promote Osborne Wood. I truly love their products. 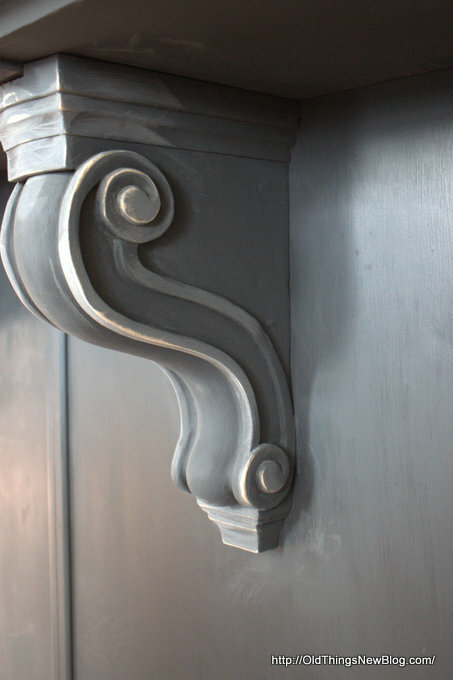 Corbels and legs range in price from about $50 to hundreds of dollars, depending on the style and the type of wood. I chose the least expensive ones since I was going to cover them with paint anyway. 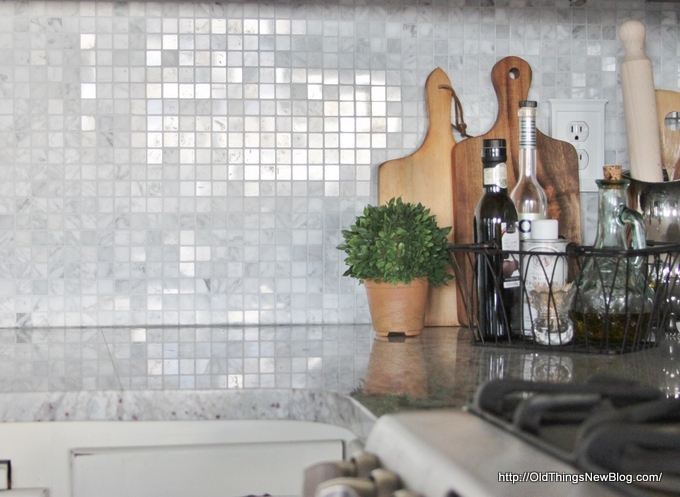 This is my Budget Kitchen Remodel With Sparkle. If you haven’t seen the whole kitchen yet you can check out that post right HERE. 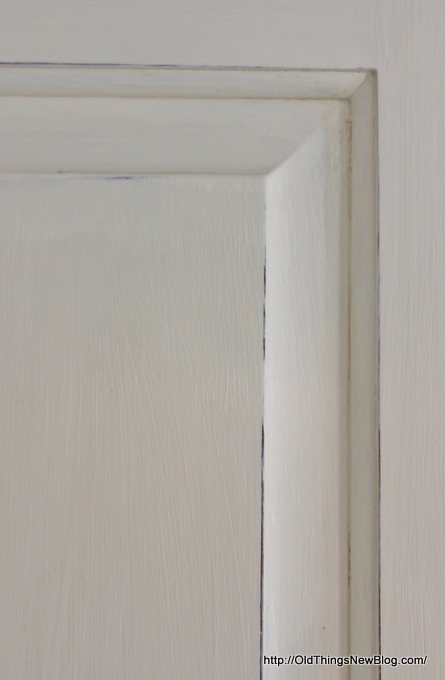 And HERE is the link to my tutorial for Painting and Waxing Kitchen Cabinets. 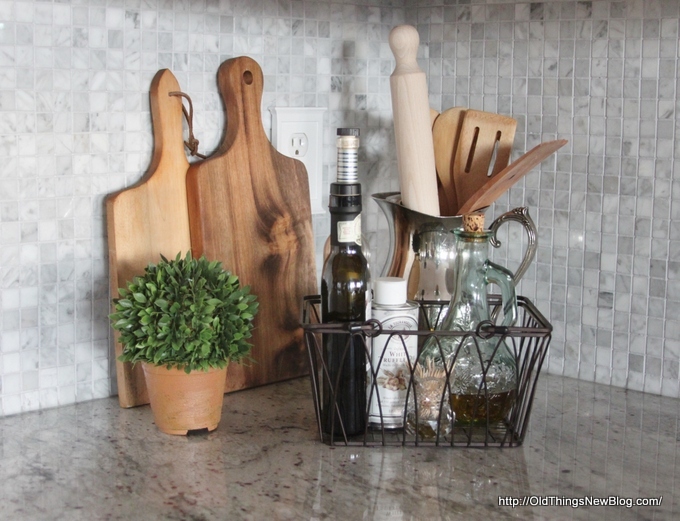 Watch for PART 4 where I’ll share my shopping secrets for a Budget Friendly Kitchen Makeover. I hope you’ll sign up to follow along by one of the many ways you’ll find on my sidebar or at the very bottom of this post. I don’t want you to miss a thing! 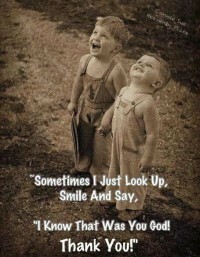 Do you have eyes to see the potential in your surroundings? 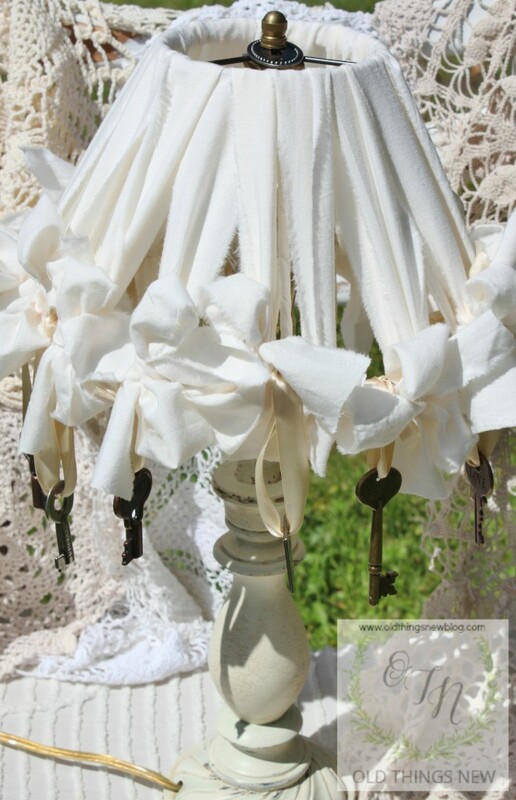 Sometimes, for me, it takes seeing what others have done to get the inspiration needed to do-it-myself. 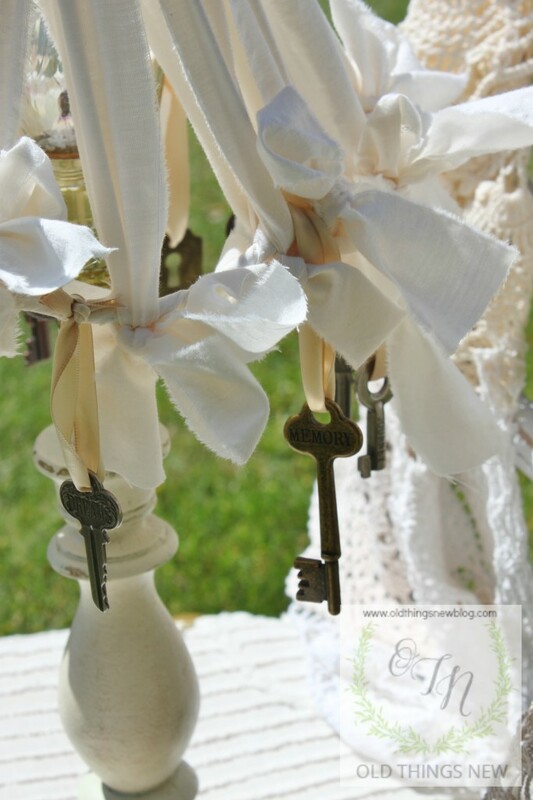 I enjoy spending time on Pinterest getting ideas and pinning to my own boards for future reference. Do you have a project in mind that you’re toying with? Be brave. You can do it!!! It has been SO long since I’ve posted, what with graduations, family vacations, prepping my home to put on the market, etc., that I thought I’d better make this post a really BIG one! Are you ready for a lot of pictures? 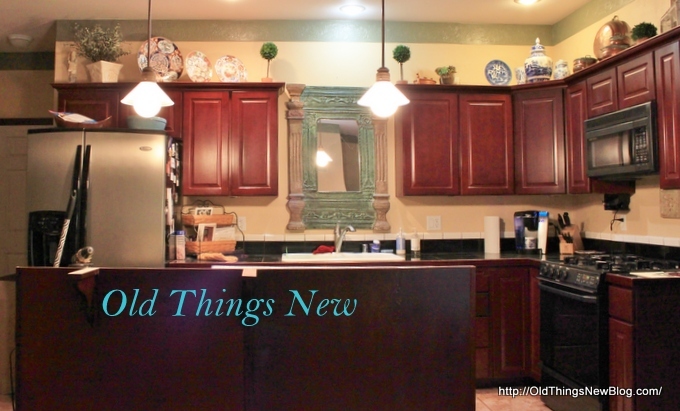 I’m SO happy to finally share with you my Budget Kitchen Makeover! It’s been a long time in the making and I only just finished up the final details of the transformation. It’s funny, and kind of sad, that it took finding out that we’re going to move to motivate me to finally wrap things up. Is there anyone else out there who moves mountains to accomplish big projects, but leaves the little details undone? It’s a character defect of some sort, I’m sure! This is my kitchen before we began tearing things up. We had already added the stainless steel fridge and dishwasher when the old black ones gave up the ghost. You can only imagine how much darker those two black boxes made this room feel. As I’ve said before, my house isn’t large and my kitchen island is my only crafting space. Mr. OTN was bound and determined to provide me with a larger (and prettier) counter space to work on. Not to mention that he might just get a few more gourmet type meals out of me if my kitchen was a more appealing place to cook! It is hard to see here, but the counter top was black tile, with white trim and the island was only about two feet deep with a raised bar. This main living space in my home includes the kitchen, a dining area, a small sitting area behind the kitchen counter and the living room. The raised bar was higher then in the above picture and only served to separate it from the living room, making the kitchen feel darker, and limiting counter space. It also blocked some of the view from the kitchen out toward the lake, especially for a shorter gal like me. 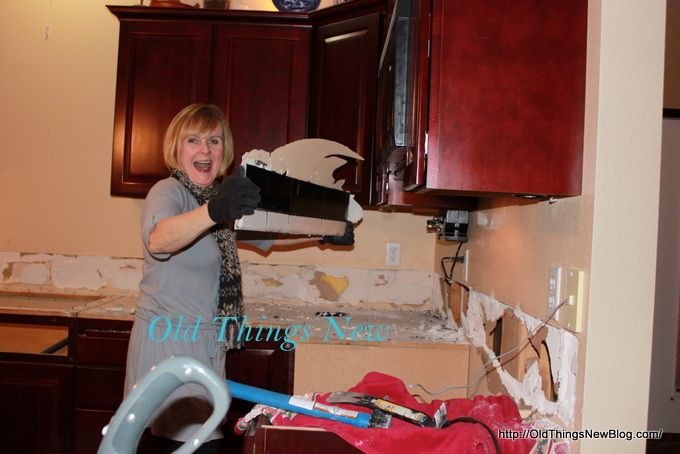 We planned and shopped and planned some more to make this the most budget friendly kitchen makeover we possibly could. I’ll be sharing my secrets for shopping for appliances, how to get high-end granite slab for much less than what you see on the display room floors, painting your own cabinets, customizing an existing kitchen island, creating your own mirror and tile back splash online, and other tips for saving tons of money on a kitchen makeover. All that for another post though. Today, I will just show you some after pics. This is it! Can you believe it? You might want to scroll up again to that first picture and look at that dark and dingy old kitchen before going any further. That’s what I keep doing and I’m the one writing this post! So much lighter and brighter. So much more open to the rest of the living area. So much more crafting . . . er . . . cooking space with the lowered bar and extended length of the island. 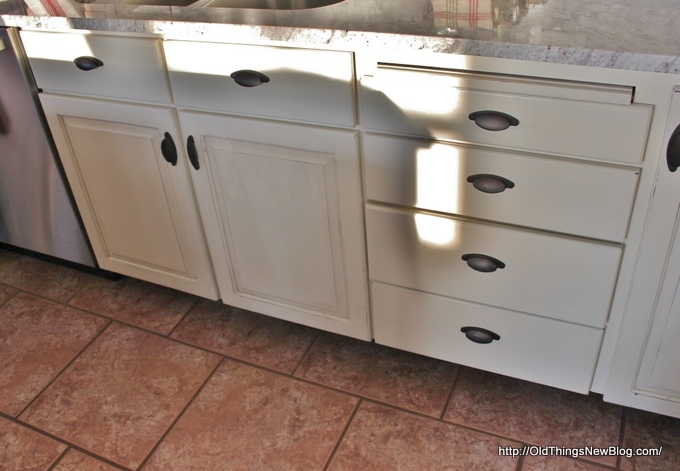 The original cabinets were solid and in good condition so I decided to paint over them with Annie Sloan chalk paint in Old White. 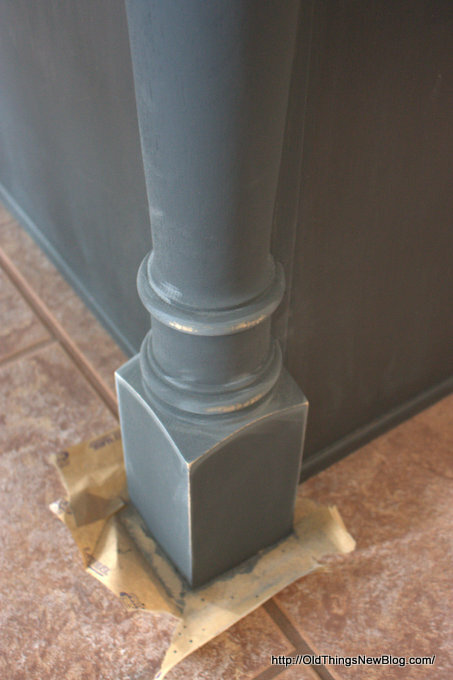 I love that this paint doesn’t require stripping, sanding or (in most cases) priming. 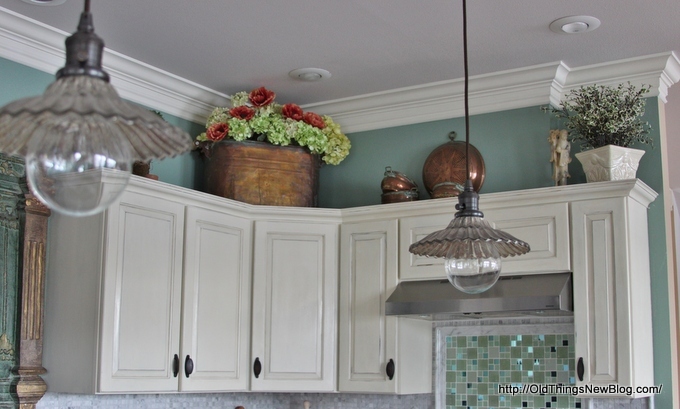 I chose to distress my cabinets some because I happen to like the look, Farmhouse Glam girl that I am. The added bonus to that is that, over time, you won’t notice the normal wear and tear as much. I then added a bit of greyish color wash in the cabinet insets to add an additional aged appearance. I sealed my cabinets with soft wax and buffed them for a nice glow. 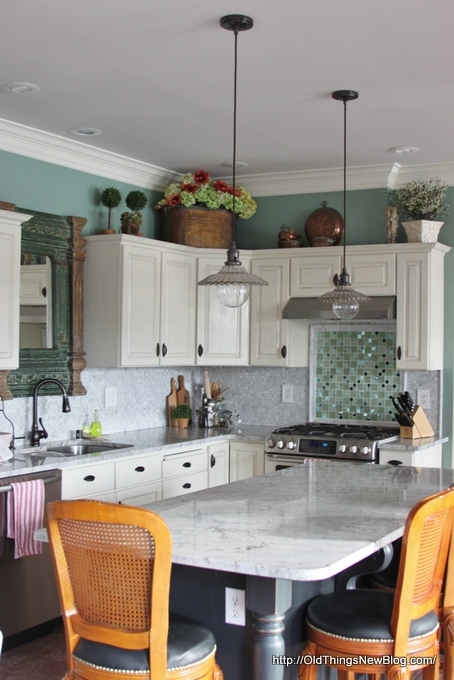 When the morning sun comes in through the windows the light color cabinets reflect light all around the room! Next is my kitchen island which was nothing but a square box with drawers and cupboards. 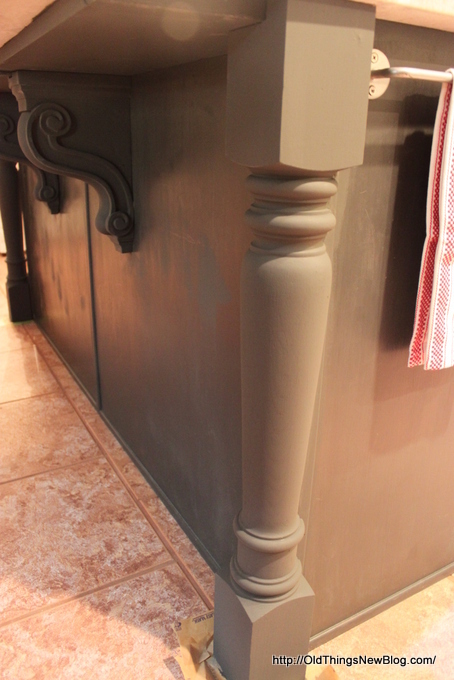 I added legs and corbels and painted it with Annie Sloan’s Graphite to ground the room. I was really glad that I invested in an electric buffer for this job. Next was my granite slab. 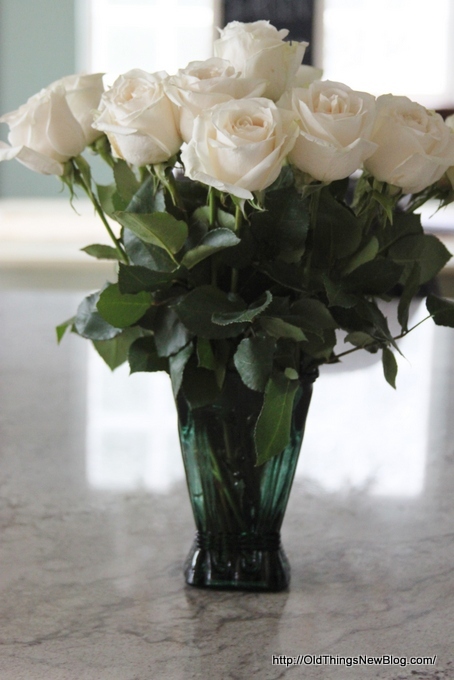 I wanted it to be white like marble. 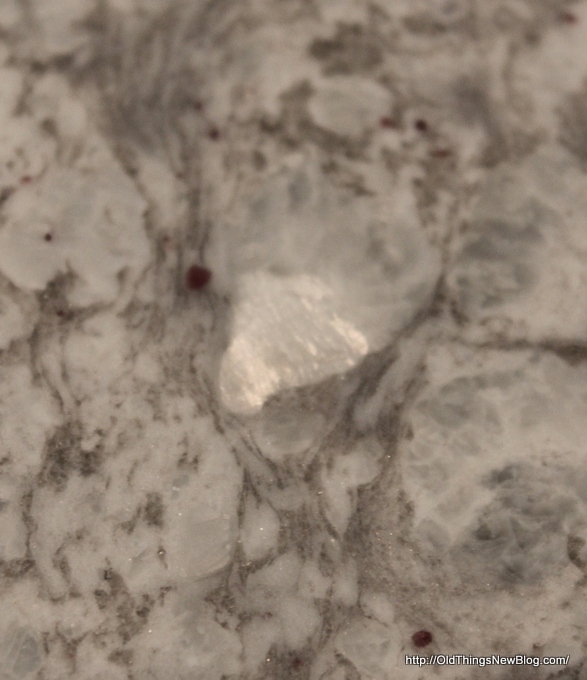 I love marble but it doesn’t react well to acidic foods. 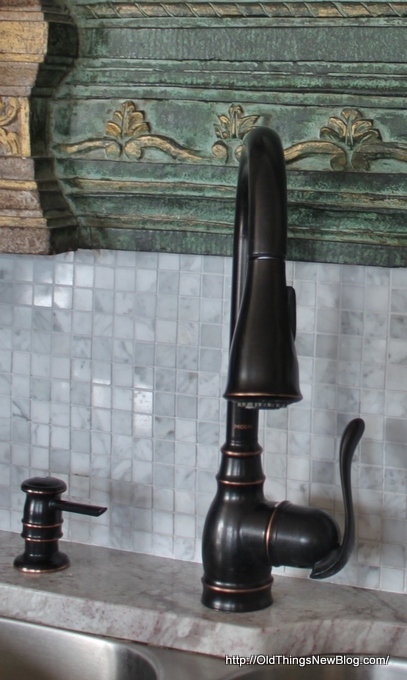 My master bath has marble and I’ve experienced the heart sinking feeling of seeing what vinegar and water cleaner does when sprayed on its surface (I’m still trying to figure out how to fix that mistake, short of hiring someone to come in and professionally buff out the spotty areas and reseal the marble). 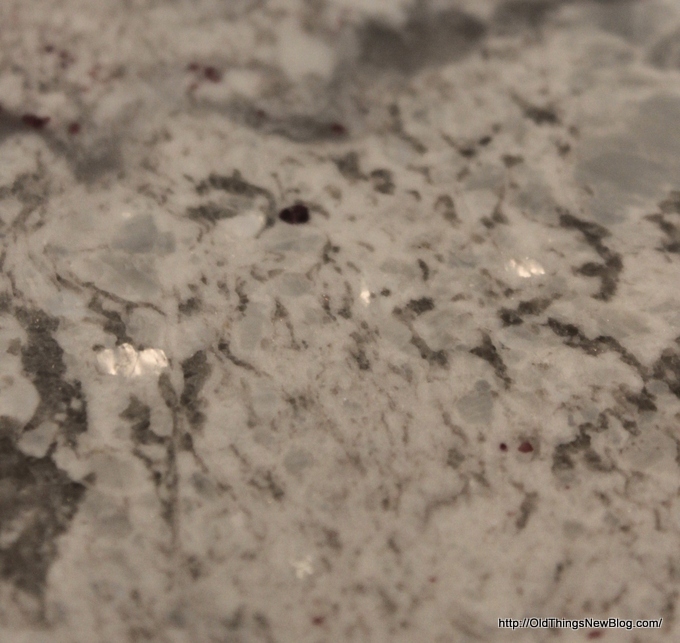 This piece (Glacier White) has “sparkles” in it when the light shines just right (I HEART sparkles) and small red garnets imbedded within the metamorphosed granitic rock. I’m constantly moving things people place on top of the sparkles so they aren’t hidden from my view! I also wanted a piece of granite that had “waves”, to give it a feeling of movement. 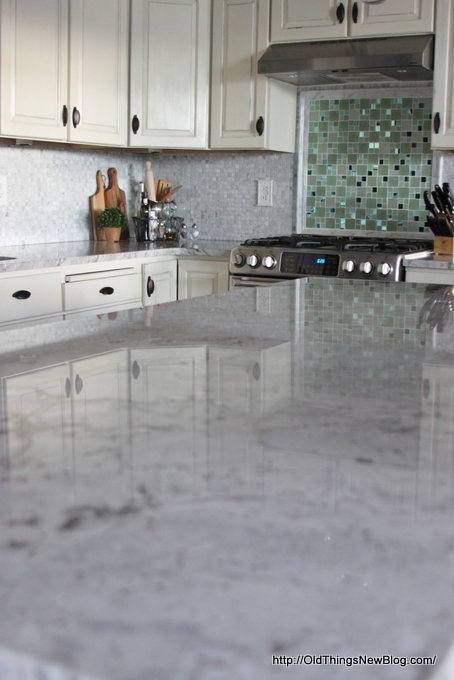 You’ll have to come back for the post that shows you how to find beautiful granite for less than you’d pay for granite tile! On to my back splash. 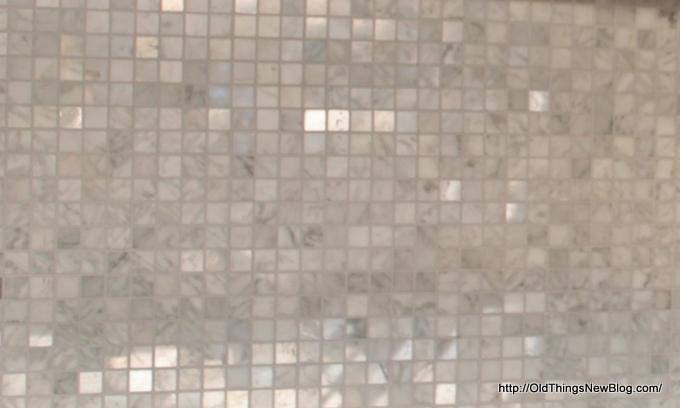 More sparkle, of course, from polished marble tiles. 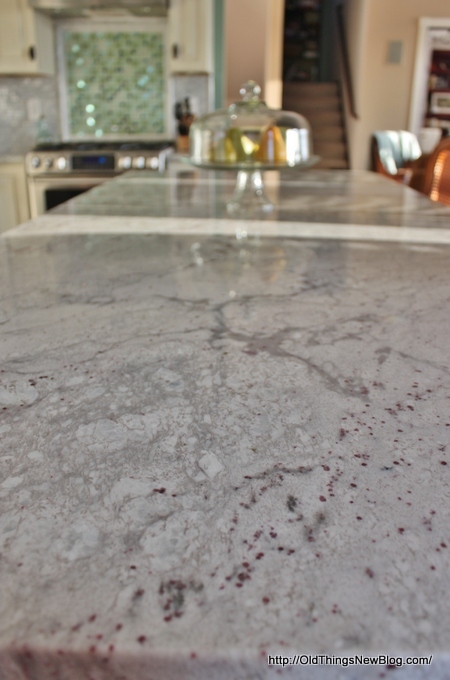 I wasn’t as worried about using marble on the back splash because it isn’t heavily exposed to acidic food, especially since I do all of my chopping on the island. 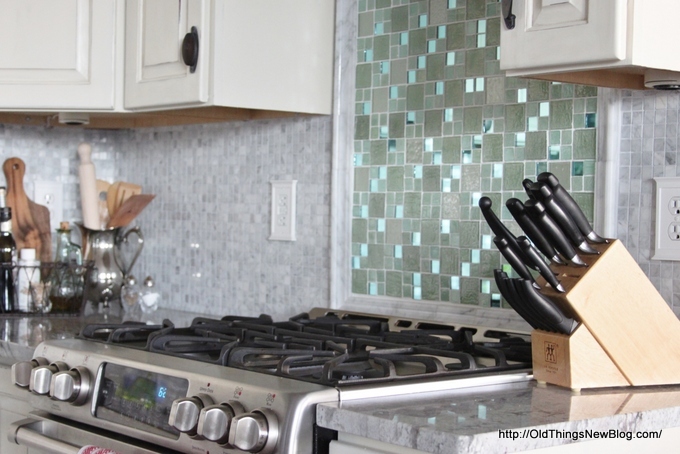 The light from the windows shines in and reflects back off these small mosaic tiles, which I also happened to find at a great price! 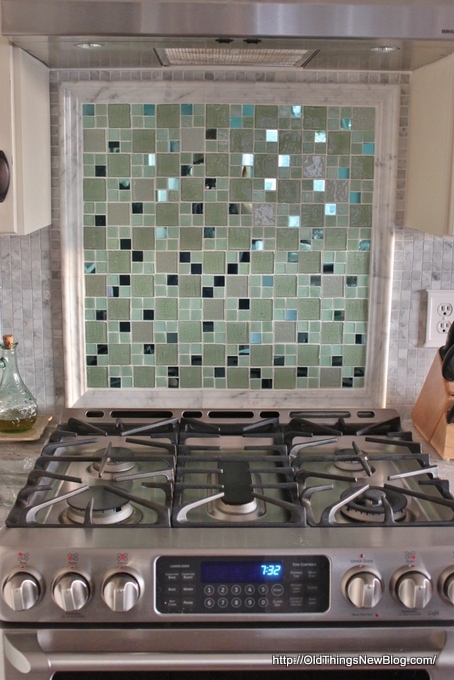 On to the custom back splash for my stove area. 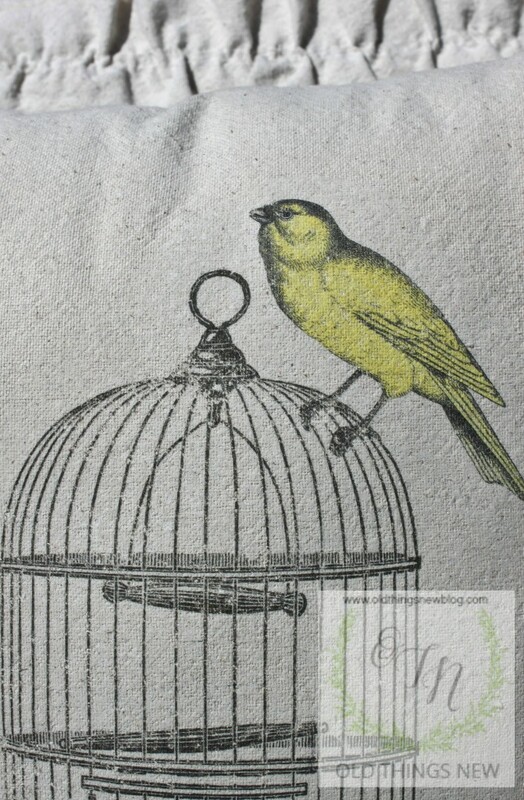 I found a site online where you can choose your own tiles in any color and material and they will mount your design on netting. 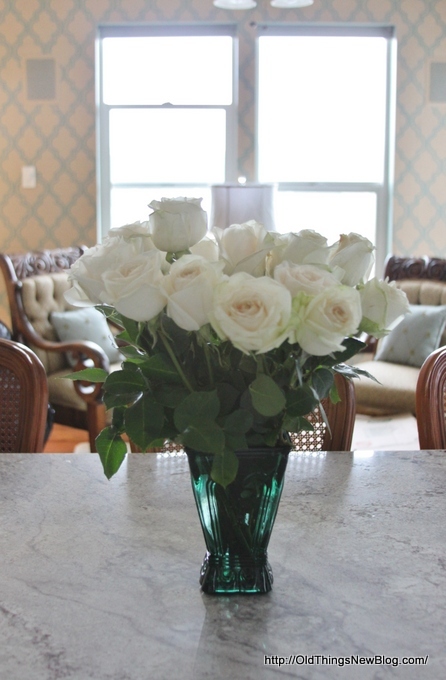 This makes it easy to adhere in the area where you want a special pop of color. Since I love blues and greens I mixed and matched mirrored and glass tiles in various shades of the same colors that I see when I look outside my windows. 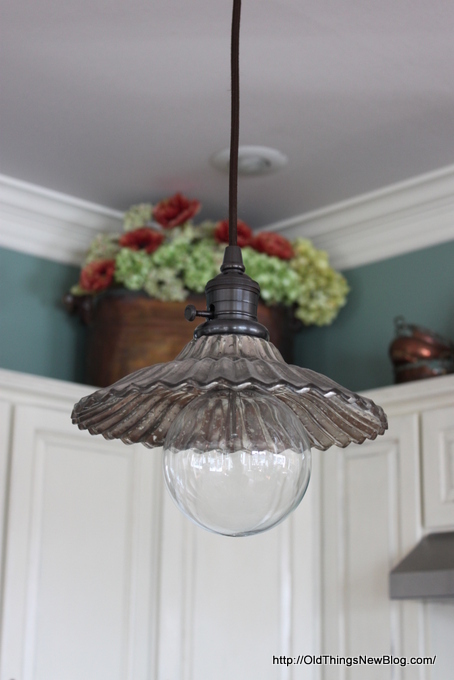 and some new mercury glass light fixtures for more sparkle. 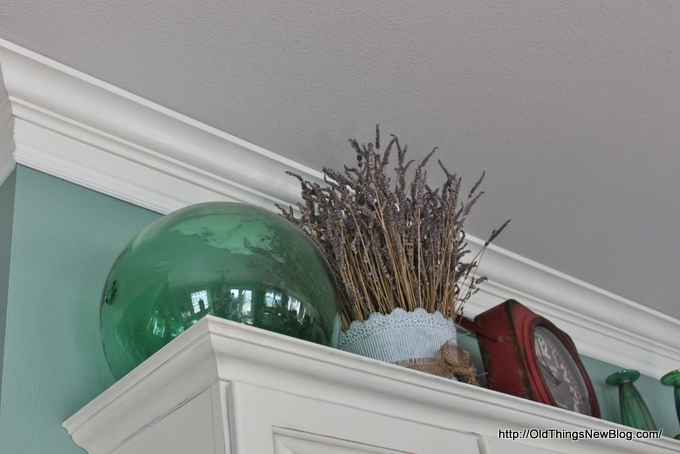 The new blue green paint color makes my creamy white cabinets and the new crown moulding “pop”. while some of the old things remain. 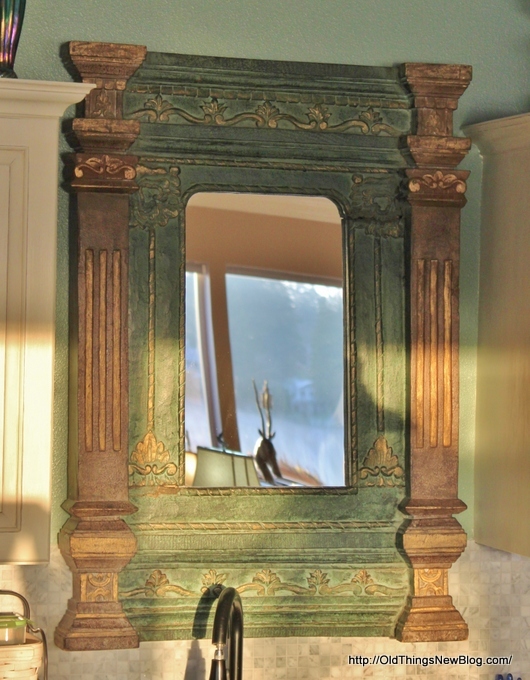 We bought this mirror at an antique store when we first purchased our home. I prefer a sink with a window over it but this is the next best thing as I can look at the lake behind me while I’m washing my dishes. and my collection of special oils and vinegar in the corner area near the stove. The new double oven and gas range combo is great and I’ll be sharing tips with you soon on getting the best price possible for appliances. 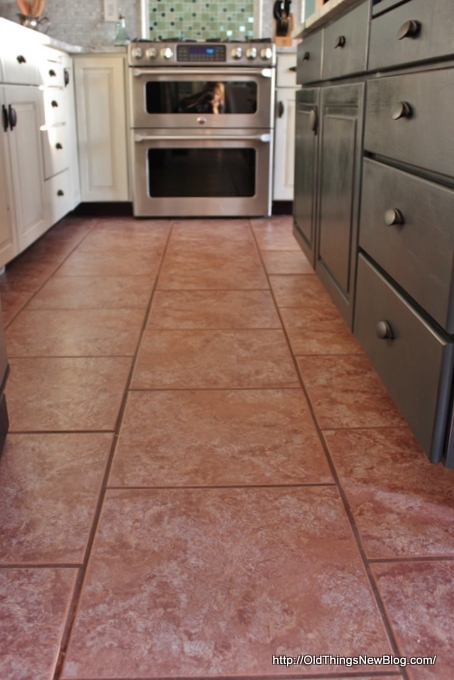 The tile floor was in the kitchen when we purchased our home ten years ago and is still in good shape. I like it, as it reminds me of a floor that might be found in a French Country Farmhouse. So . . . no change needed here . . . except maybe a little bleaching of the grout! That could be a future post as well as it certainly will need to be done before we put our home on the market! 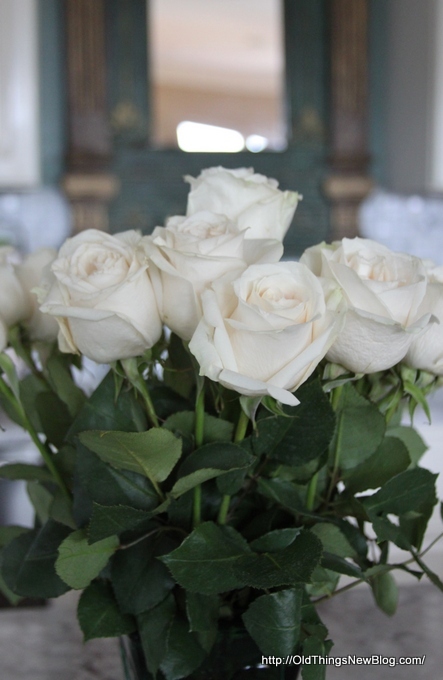 Now for a few final pictures with the beautiful roses our Freedom Session Facilitators and Participants presented us with at their graduation ceremony last night. 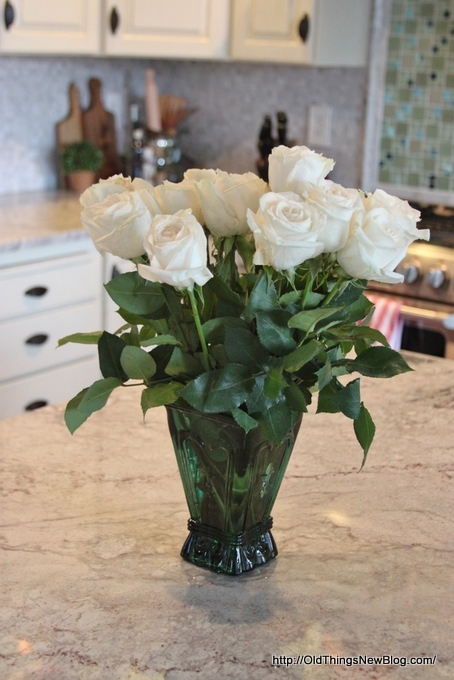 How beautiful these creamy white flowers look in my kitchen. My friends know the things that please me. This is the view looking out toward my little sitting area with the lake beyond. It is sort of strange that now that my kitchen is just the way I always wanted it, we have to turn around and sell our home. As I look online at homes in the Greenville area I haven’t seen a single kitchen that looks like this, the one that was my dream kitchen for so long before we actually made it a reality. 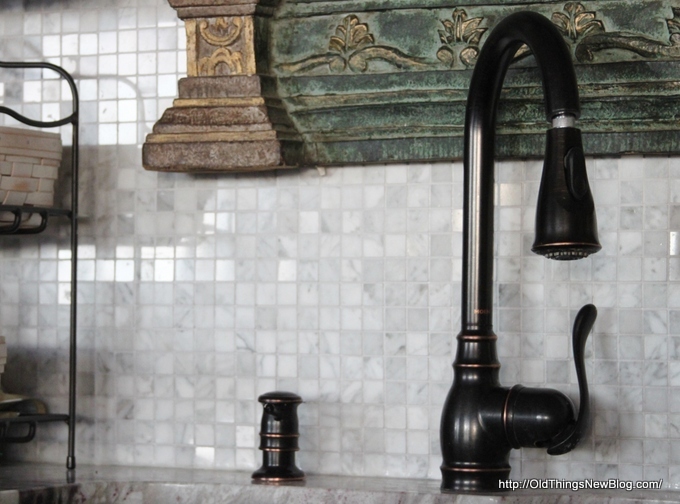 Perhaps we’ll buy a home that needs a kitchen makeover. If we do you better believe that I’ll be using the same materials again . . . if I can find them. Or perhaps we’ll find a home with a kitchen that is already updated and I’ll fall in love with something new . . . ??? I can’t know what the future holds but I CAN walk into the future without fear, knowing that my paths are prepared before me, by the One who cares about every single detail of my life . . . even kitchens! 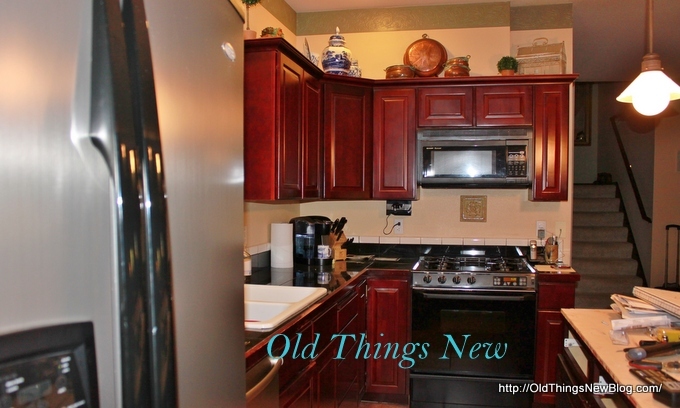 PART 2 and PART 3 of this kitchen makeover can be seen HERE and HERE. PART 4, where I’ll share my shopping secrets, is yet to come!